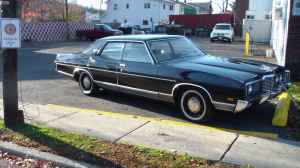 1972 Ford LTD - Just a Car Geek reader, Dan, sent me the link to this car. He wrote one sentence about this car; "You could play Steve McGarrett in this car!" You could play one of the Golden Girls, too. These were the cars of choice for police departments and the elderly. This one is pretty remarkable. It has just 24,779 miles on it and is all original. As the seller states, "the car speaks for itself." Located in Ridgefield, NJ, click here to see the Craigslist ad. 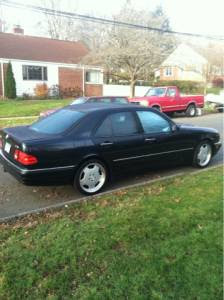 1999 Mercedes Benz E55 AMG - This is a seriously fast sedan. The V8 engine pumps out 349 HP (4 more than the 1999 Corvette). It reaches 60 MPH in 5 seconds. It has a limited top speed 0f 155 MPH. I does all this despite weighing 3,765 pounds. This is a 2 owner car with 140,000 miles on it. It essentially bulletproof, but when things do go wrong, they are extremely expensive to fix. Located in Shelton, CT, click here to see the Craigslist ad. A big thanks to Cory for sending me the link to this car! 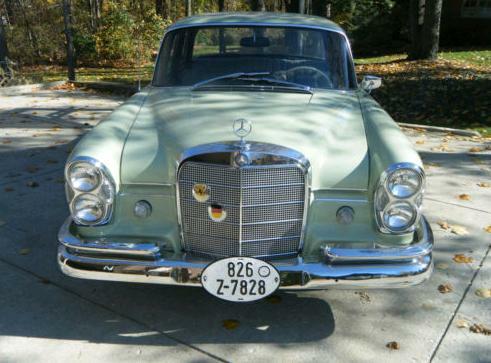 1963 Mercedes-Benz 200 Series - This MB is by no means as fast as the one above - not even close - but what it lacks in speed, it more than makes up for in pure class. This is a well documented, very well maintained car. It would be a hit at any German car show. A big thanks to John in NJ for sending me the link to this car! Another knowledgeable Mercedes seller. He advertises it as 200 S.
There is no such thing. Never was. Even on the enclosed data card it says 220S. Wow, that Ford is nice. $4500 would be a steal.